If you follow me on Instagram Stories, you might have seen me gushing like an excited 6 year old on Christmas morning about my new Cricut Maker a couple of weeks ago. You guys, I can’t remember the last time I was this excited about anything. I have in my possession a tool that can be used to make custom vinyl prints, banners, cake toppers, cards, and so much more. This is next-level thrilling. 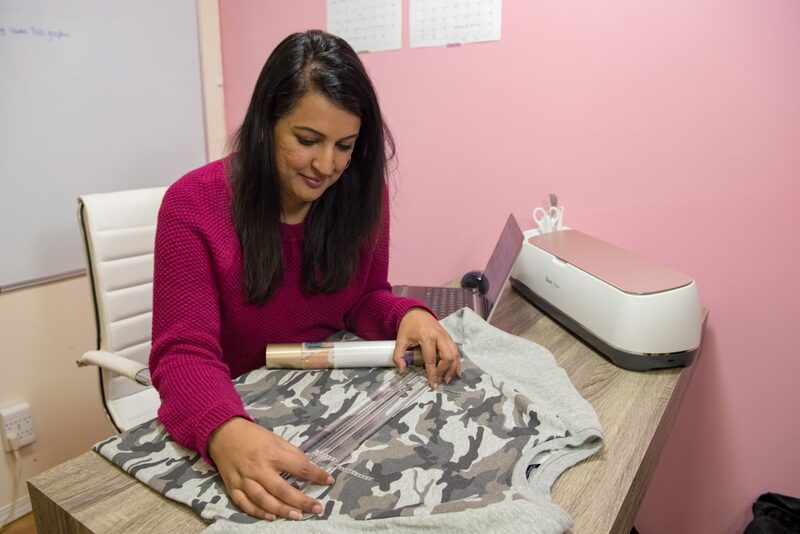 In theory, a smart cutting machine would be exciting for any crafter, but for someone who celebrates ethnic or ‘non-mainstream’ holidays, and has kids who’s names will never be on a personalized water bottle or toothbrush, it is extra special. While my long-term plan for Cricut projects is to incorporate some holiday specific, and desi-centric projects into the mix, to get things started, and to get to know the machine I decided to do a simple iron-on vinyl project as my first ever Cricut Maker project. In this post I’m going to walk you guys through my experience of creating my first vinyl design & using the actual machine, and then I’ll do a part 2 next week where I’ll share the finished project. To be totally honest, I was a bit stressed out about using the Cricut Maker for the first time. I had seen this video that explained all of the complicated things it could do and assumed that it would be complicated to use. So when I first unboxed it and did the test project it comes with – a greeting card, I felt pretty excited about how simple it was to use! Now, in the interest of full transparency, that project was kind of ‘drag and drop’. The materials were pre-cut, the template was made for me, and I had to do was insert a pen into the machine and press go. 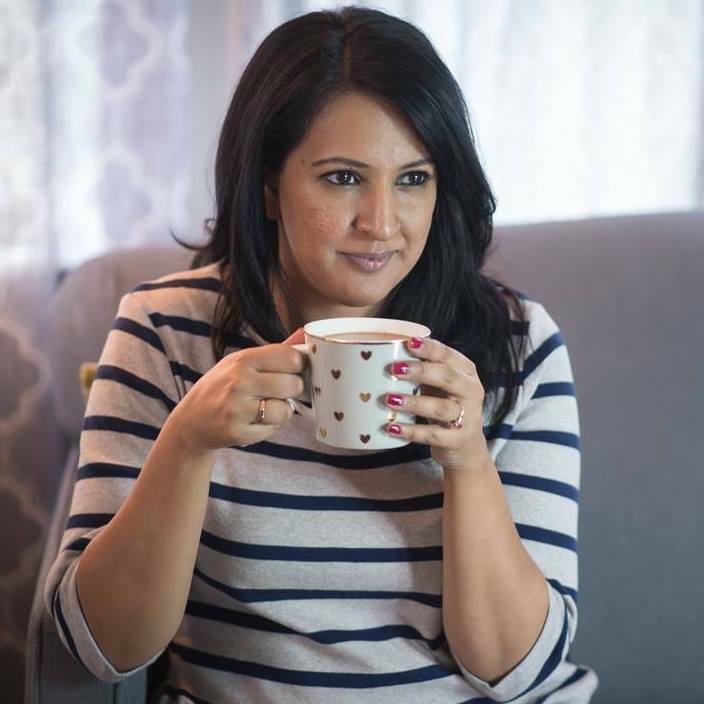 When I did my real first project, there were a couple of hiccups and learning moments. I had to navigate the Cricut Design Space program to create my design, and then watched a couple of videos online about how to position and cut the vinyl, and finally, I got stuck on the printing because I didn’t realize until a few tries that I had selected the wrong material in the print settings. You can watch me go through the process in this video, or read on below for more thoughts on using the machine and it’s value. Even though I received the Cricut Maker from the brand in exchange for a review, you guys know I’m all about honest and transparent reviews. So from a consumer point of view, here are my initial thoughts on using the machine, and the cost of it. 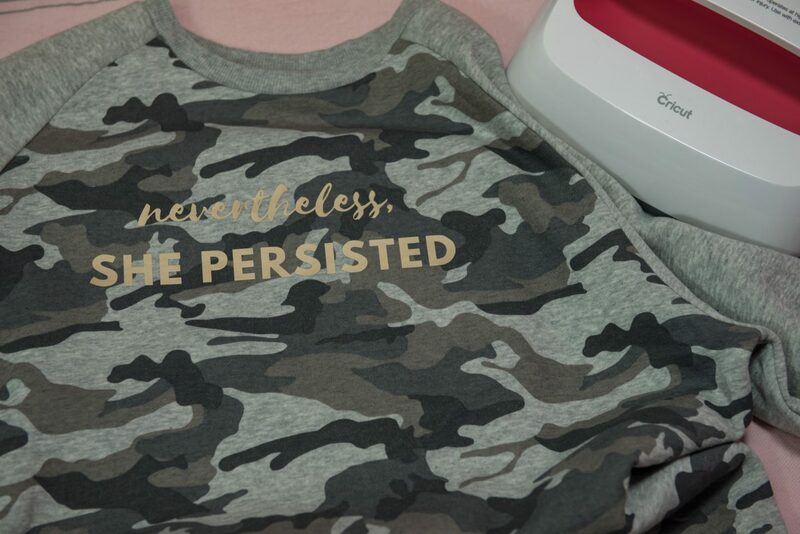 The Cricut Maker machine is very easy to use. The Design Space program is pretty basic (if you’ve used Pic Monkey or Canva you can use it), and inserting the knife blades and mats is super simple. Short of needing to learn a few things about the material and how to load the machine, my first project was effortless. Now, about the cost. The machine retails for $449.99 Canadian at Costco, which definitely makes in an investment, but a worthwhile one if you enjoy crafting year round, or even if you are really into decorating and crafts for birthdays and holidays, and you like personalized decor. Since this is a machine where you can replace blades and mats as needed, it will have a long lifespan, and you can use if for so many different types of projects; card making, scrap booking, party decor, cake/cupcake toppers, custom puzzles, sewing patterns, and so many other things I haven’t even thought about yet. In short, if you intend to craft regularly for a few more years, or if you want to start gifting handmade gifts, this machine will be worth the cost. Wow that was so nice! I hope i could get something just like that in the future! Love it! Thanks for sharing this. I really want one of these. I’m glad you made a video so we could see it in action. It looks so much easier to use than I thought it would be. I have wanted one of these for ages!! Wow, that is so cool and I want to have that machine for me to be able to make my own shirt designs. I have always seen this machine in the craft store, but never really knew what it was all about! Thank you for the info! This was such an interesting read. 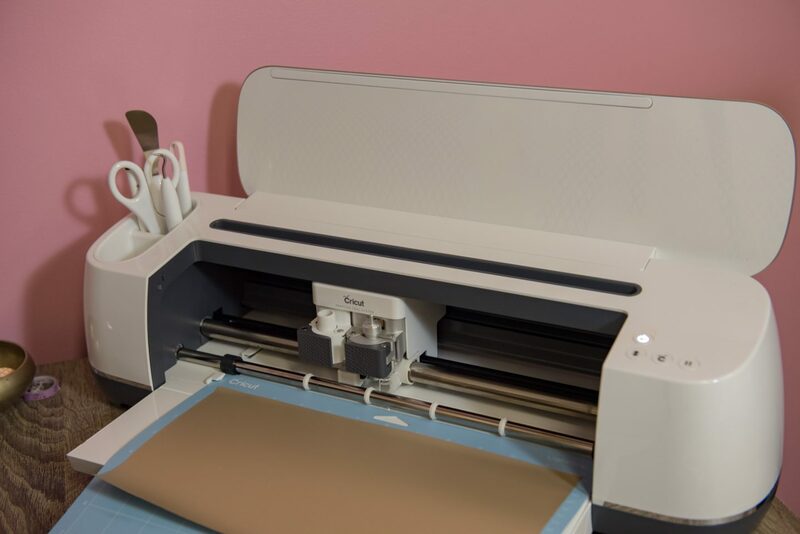 I’ve always been interested in Cricut machines so it is interesting to find out how they work. I want one so bad for all the crafting I do. Thanks for the explanation and review! Great post! I have one and have never used it.. you inspired me! I remember when I worked at Jo anns in college people would rush in during the holidays to by a cricut. I never understood what all the fuss was about until just now. This is really neat. Looks like a great machine and perfect for making some holiday gifts! Thank you for the video. It really helped me to understand how this machine works. Nice job on including the details in the video that are hard to explain in writing. It’s a great investment if you want to start your own business too! We live personalised gifts so this would be great for us too! How cool is cricut? We keep thinking about getting one for our blog. It sounds really something great! Loved watching your video! You are so professional!